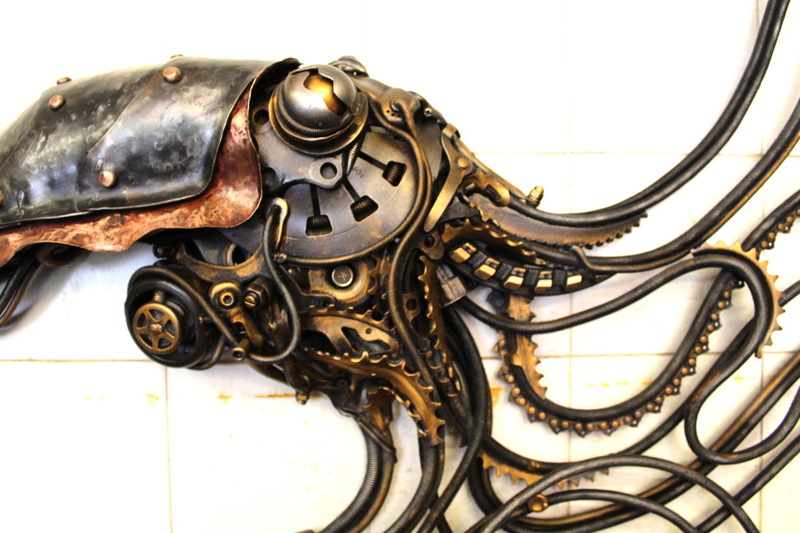 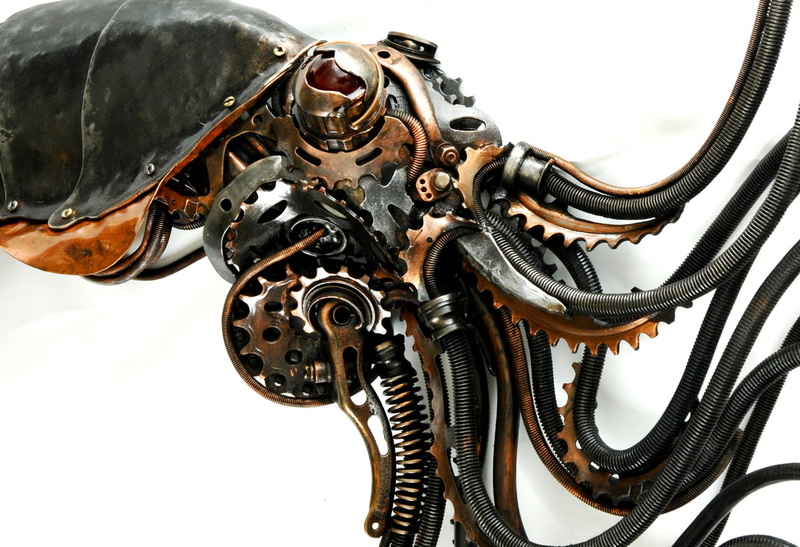 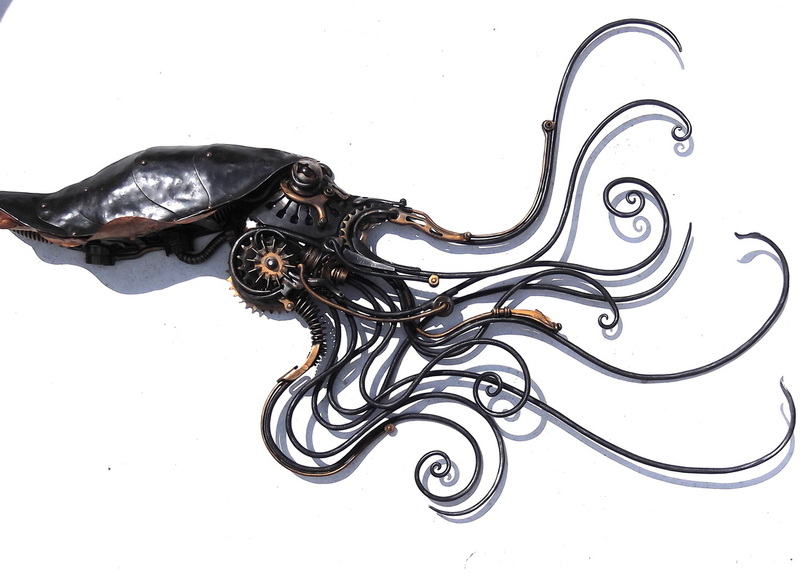 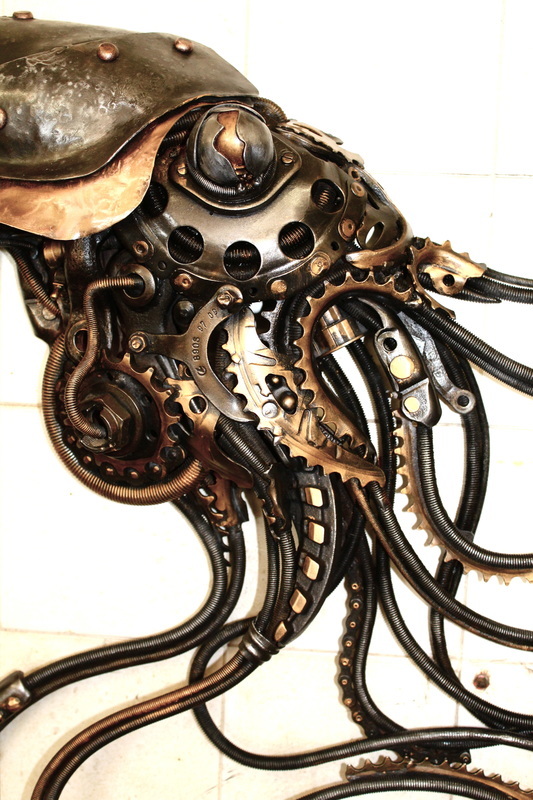 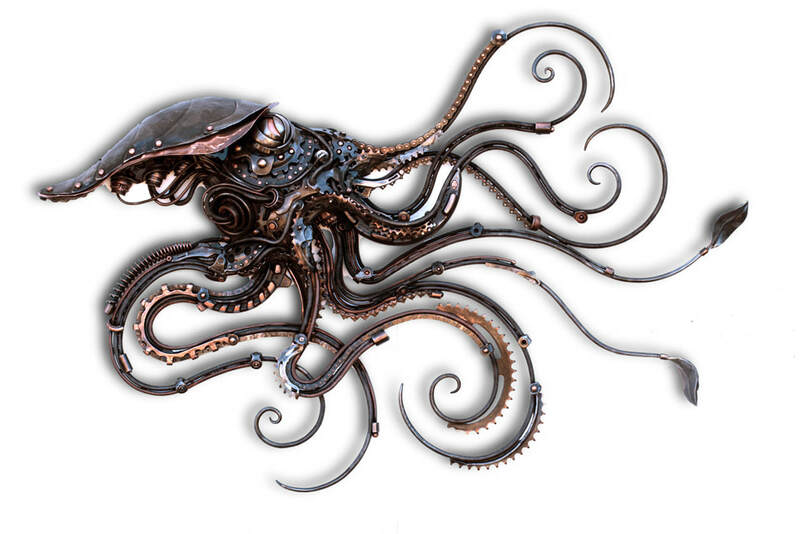 SQUIDIPUS - I have made many variations and different sizes of this piece to commission. 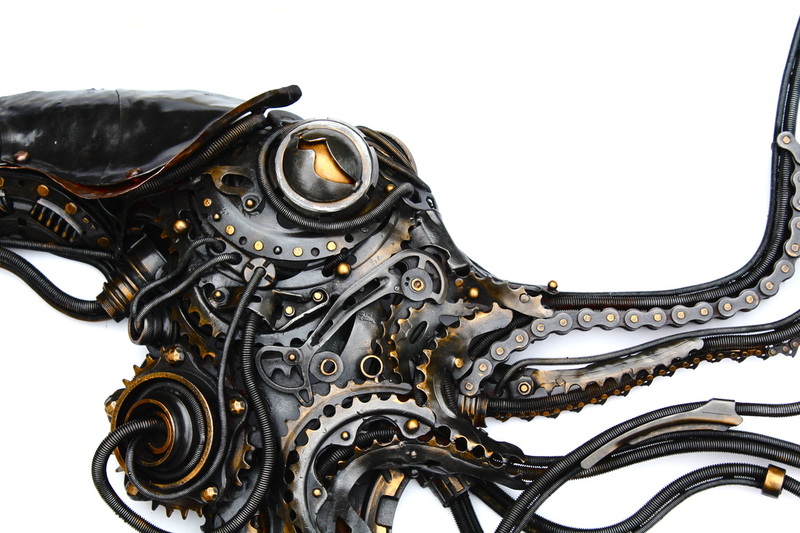 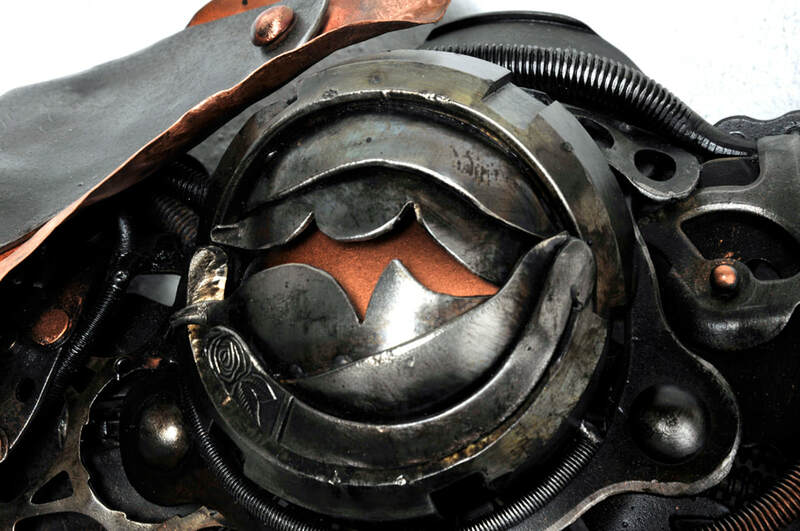 Materials include found and forged sheet steel, retired tools, bearing casings, threaded bar, car clutches, chainsaw chain, motorbike wheel rims, chain, gears and break disks. 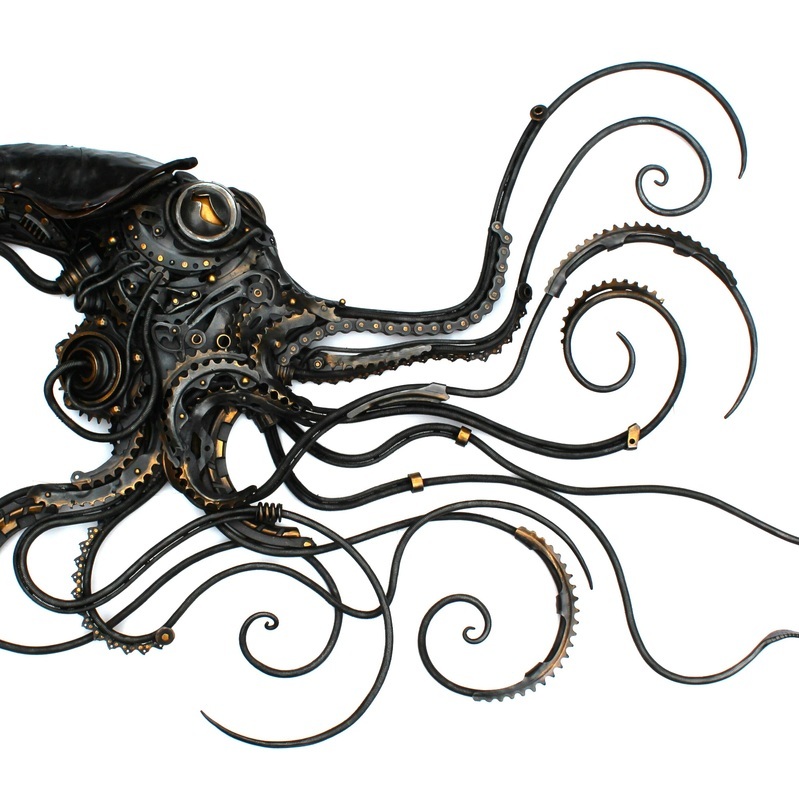 Average 110cm.